DECLARING that La Brea was the “tip” of the country’s industrialisation spear, La Brea MP Nicole Olivierre said the community had to “want and desire” the development and not engage in unnecessary protest action. She was addressing a La Brea community meeting at the Vessigny Secondary School on Wednesday night. The theme of the meeting was La Brea – Energy is your business. “La Brea will be the spear head of our thrust in our national development policy. 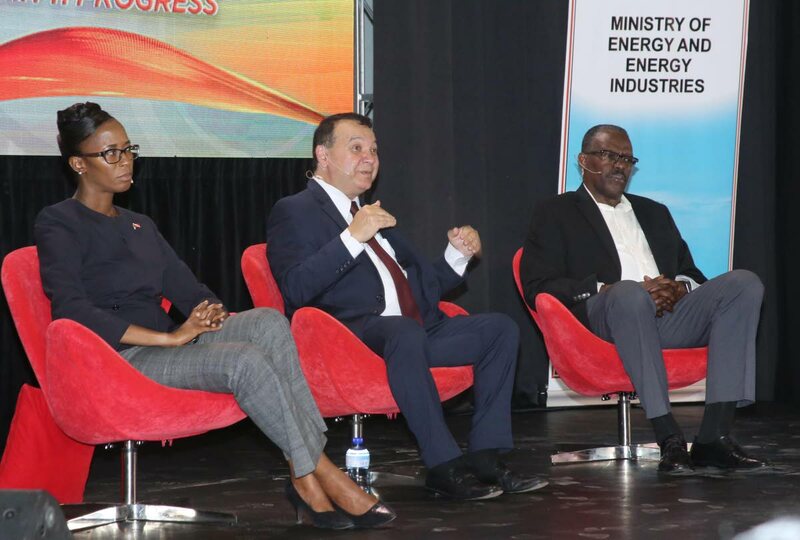 Industrialisation is our weapon of choice to secure the future, and La Brea is the tip of that spear,” Olivierre, who is also Parliamentary Secretary in the Ministry of Energy and Energy Industries, said. She recalled that the Juniper platform, which was fabricated by Trinidad Offshore Fabricators Limited (TOFCO), had employed some 377 people from La Brea and had pumped $112.5 million dollars into the economy. However, the country had lost the Angelin project to Mexico due to protest action. She said the Caribbean Gas Chemicals Ltd (CGCL) methanol plant, which was currently under construction, had also been hit by strike action and was now two months behind schedule. “The project was scheduled for completion at the end of this year. Workers shut down the job for four week and what did they achieve? Hundreds of workers drawing no salary for four weeks. Workers with children to feed and families to maintain, no income over the Carnival period, vendors from the community losing the opportunity to earn income. Before the strike, vendors on the site were making as much as $5,000 per week providing breakfast and lunch to workers. During the strike all of that value disappeared. Reply to "Strikes are hurting us"